An inquest into Amber Peat today, heard it could not be ruled out that her death was a cry for help which went wrong. 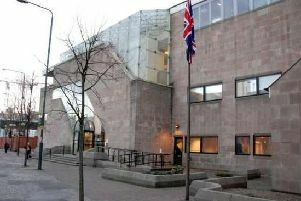 The inquest was opened by Assistant Coroner Laurinder Bower, who heard how Amber, 13, had left her family home on Bosworth Street, Mansfield, on May, 30, 2015 at 5pm after a dispute about chores with her mother Kelly Peat. She did not return and was reported missing at 5.30pm. The body of the Queen Elizabeth’s Academy pupil was found three days later on June 2, in a small wooded area off Westfield Lane, less than a mile away. The family had lived in Derbyshire before moving to Mansfield. Home Office pathologist Dr Frances Hollingbury said Amber had died as a result of hanging. She had been seen entering the secluded spot and it was possible she had died shortly after. Philip Turton, the solicitor representing her mother said she the difficulty was whether it had been intended or a cry for help which had gone too far. The pathologist said: "She would have lost consciousness in a small number of seconds. It is a possibility that she had made efforts to save herself. I cannot say one way or another." There were no suspicious circumstances. There had been no evidence of physical neglect. The inquest, which is expected to last four weeks continues this afternoon.